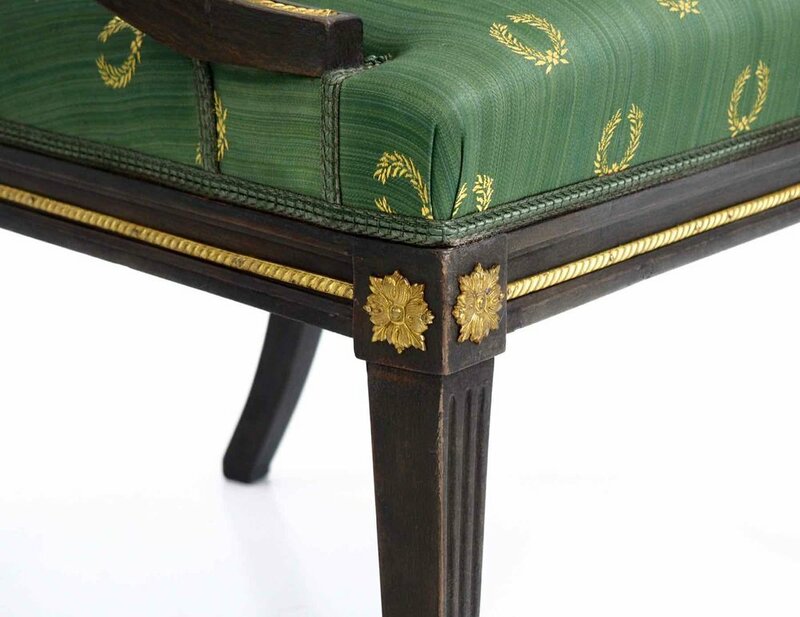 Pair of black painted armchairs, in Gustavian Ephraim Staal style, with bronze mounting. Pair of black painted armchairs, in Gustavian (Ephram Staal) style, with bronze mounting, circa 100 years old. H. 80 H-seat. 46 W. 61 D. 55 cm. H. 31.4 H-seat. 18.1 W. 24 D. 21.6 in.